A very good timber investment tract with commercial potential adjacent to the McCormick Schools complex. The land consists of approximately 97 acres of recently harvested pine plantation that is ready to be replanted for a new stand of pines. 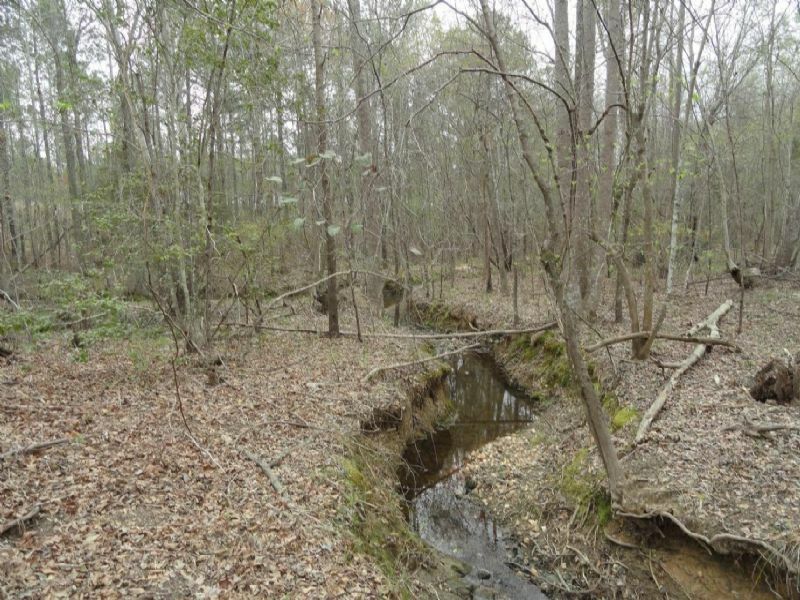 There are 15 acres of hardwoods along the headwaters of Benningsfield Creek, paved frontage on both US Highway 28/221 and Jefferson Street, an internal woods road with gated access, and gently rolling topography. Enjoy your investment. The year-round creek and hardwoods provide a good attractant for wildlife, and the habitat could be further enhanced for deer, turkey and other game by clearing and planting food plots. As the harvested area sprouts new growth this spring, there will be lots of nutrition and cover for wildlife. For the fisherman, nearby Lake Thurmond offers world class fishing for striped bass, largemouth bass and other species. The Dorn Boating Facility just 15 minutes away offers public access via a 6 lane boat ramp and plenty of parking. Electricity, sewer, telephone and internet are available to the tract, which combined with the frontage on Highway 28/221 allows for a wide range of potential uses. With the addition of a home or a small cabin this could be an excellent recreational retreat. The tract is 5 minutes from McCormick, SC, 30 minutes from Greenwood, SC, 45 minutes from Augusta, GA , and 1.5 hours from Greenville, SC and Columbia, SC.